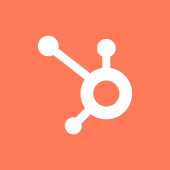 We are proud to be the Hubspot HUG leader for Jacksonville FL. We have had the privilege of being the leader for the past few years and look forward to continuing to spread the word of Hubspot in our local community. At PCR Agency, we specialize in digital marketing and service local and national accounts. We love getting to meet local businesses and agencies in the area to grow Jacksonville's digital marketing success. At our HUGS you can expect us opening up our office doors located in Riverside area in the Black Sheep building. We pride ourselves with having friendly staff members to greet you upon arrival. We try to spread the word for each of our events to ensure we get a strong turnout of local marketers in the area. We always have wine, beer and cheese boards for you to enjoy while learning from a Hubspot or local speaker on the latest and greatest topics to grow your knowledge.